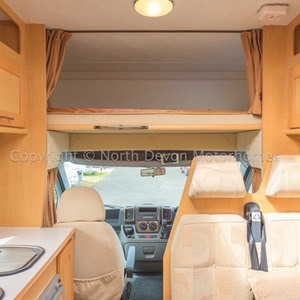 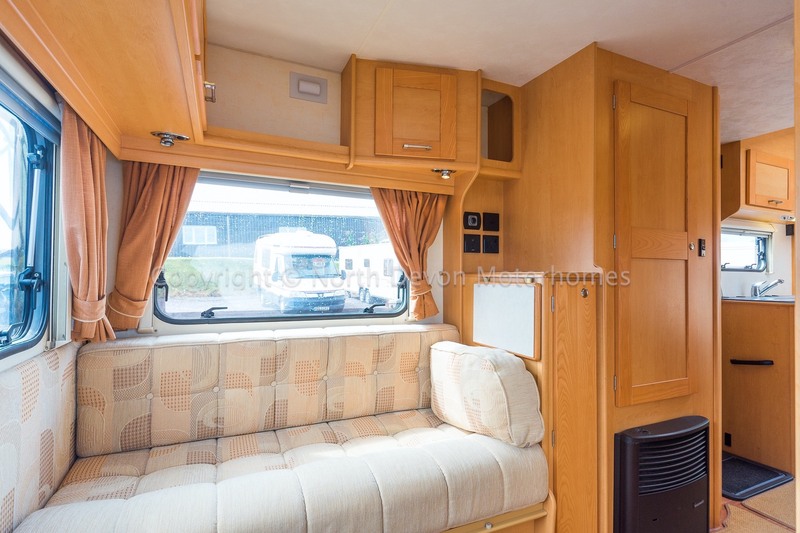 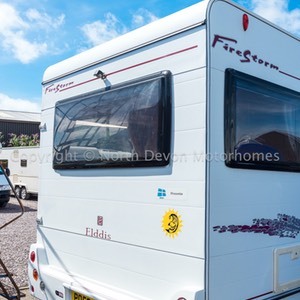 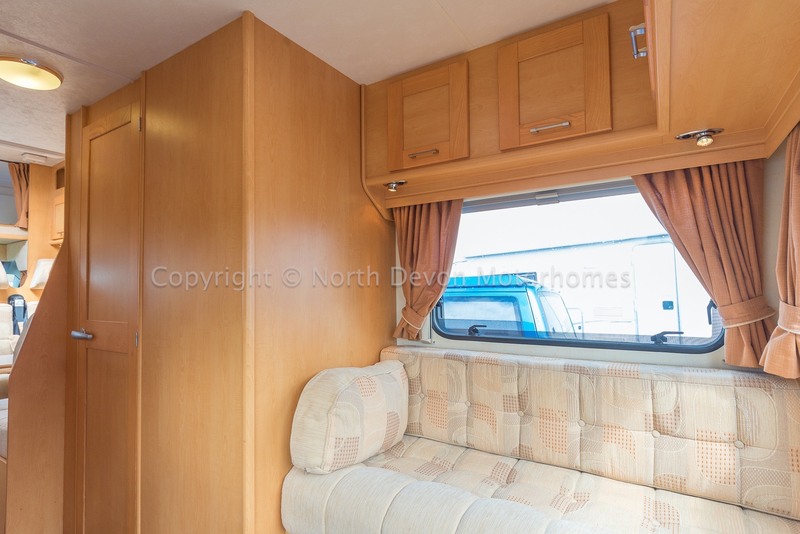 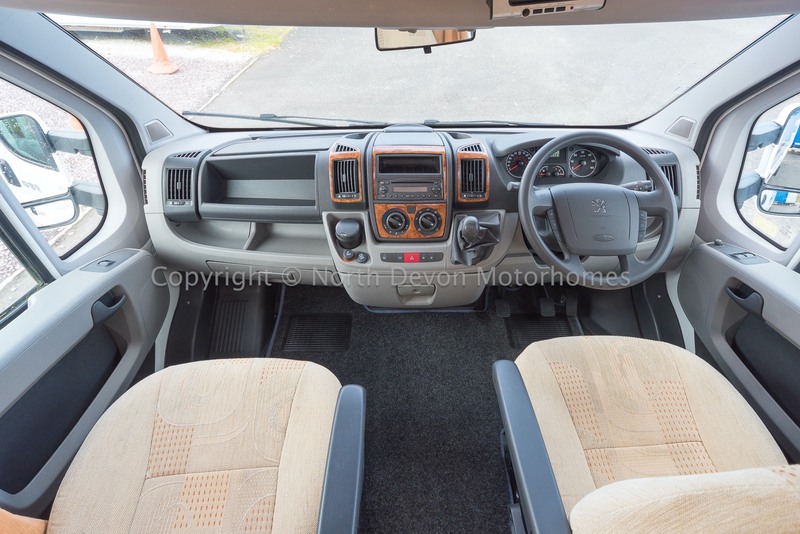 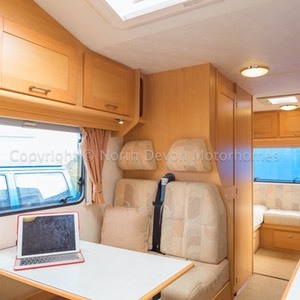 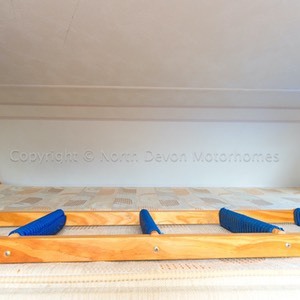 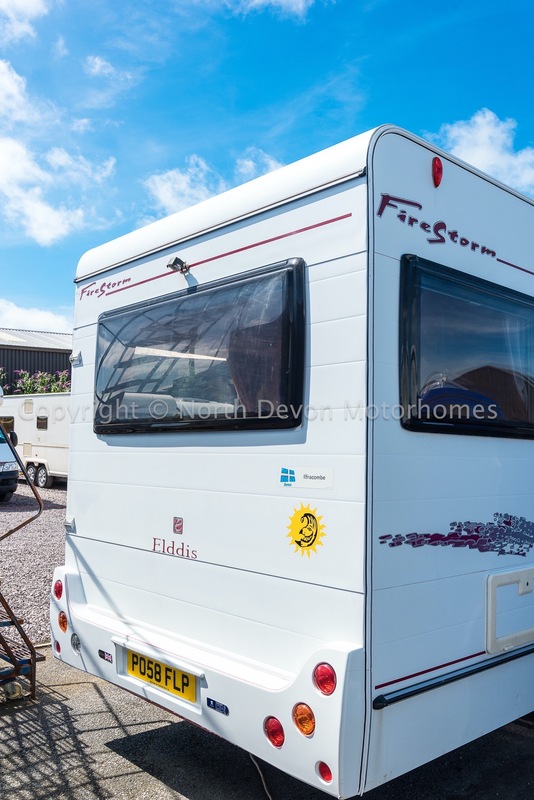 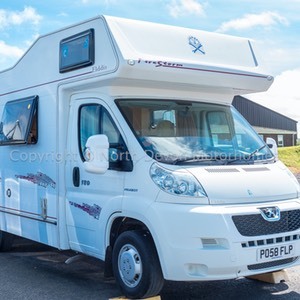 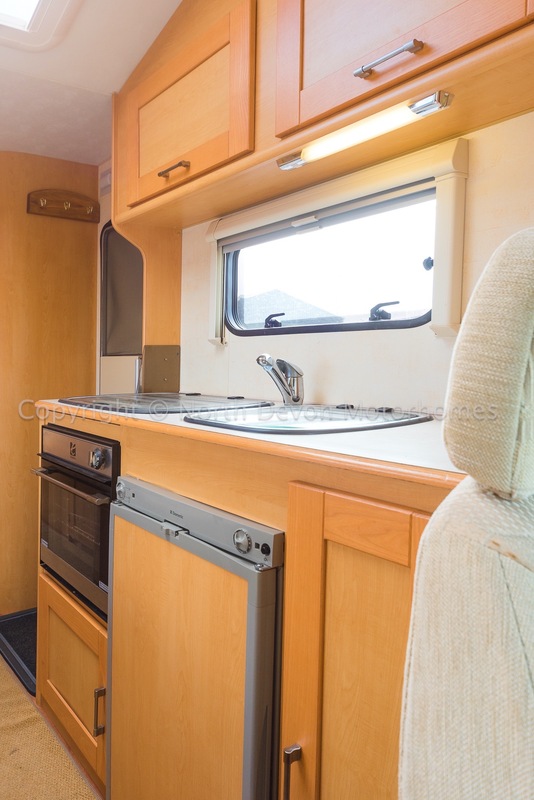 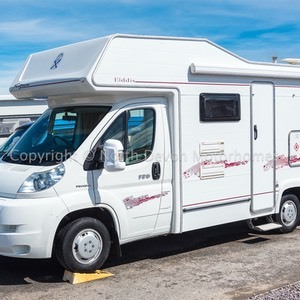 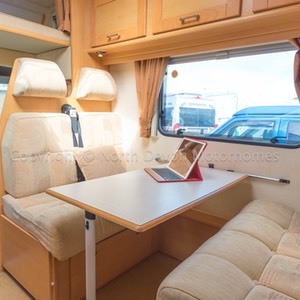 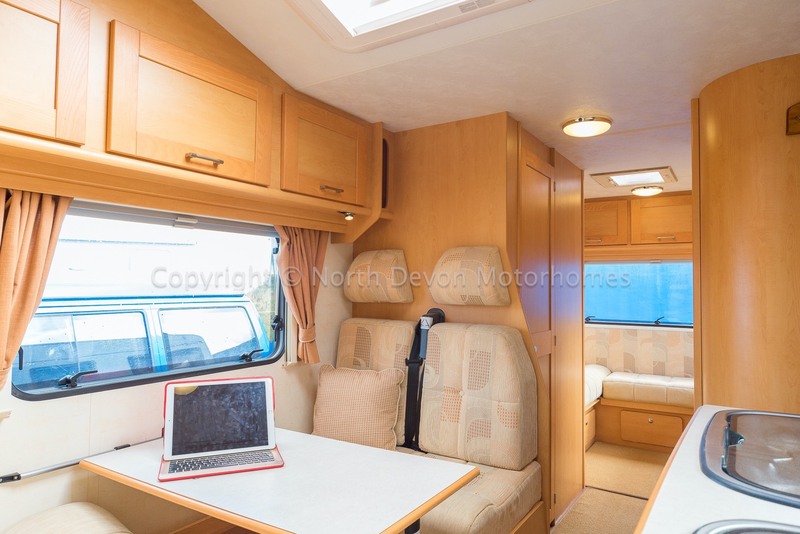 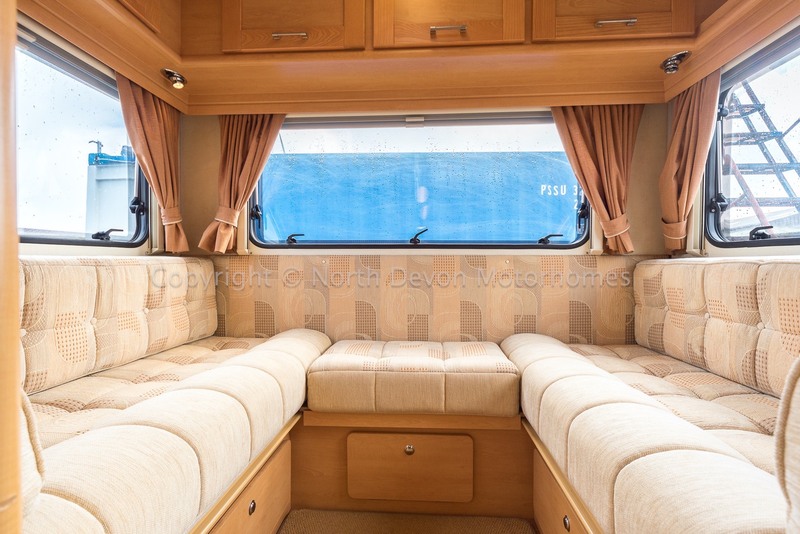 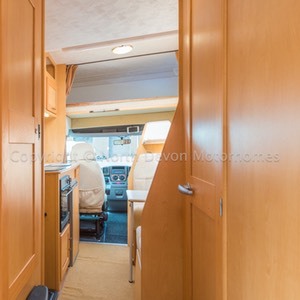 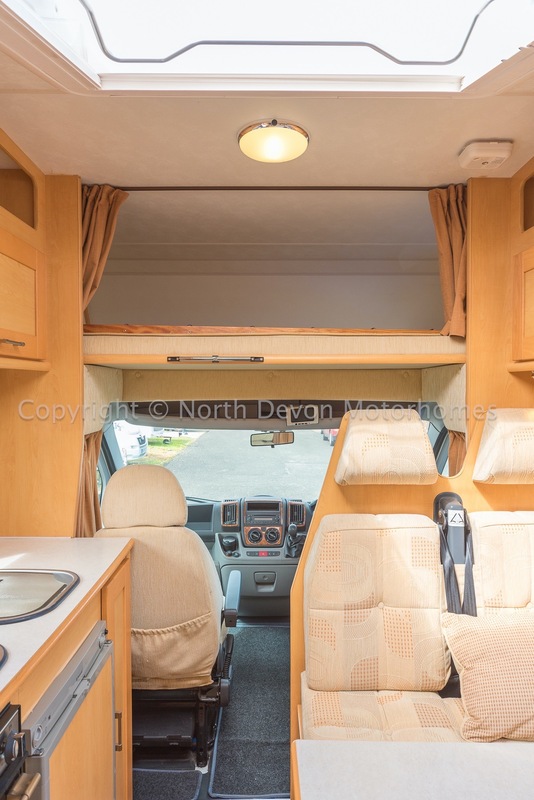 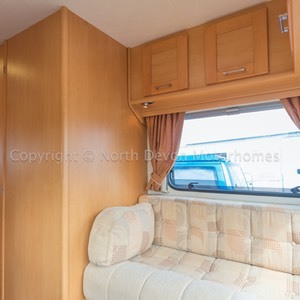 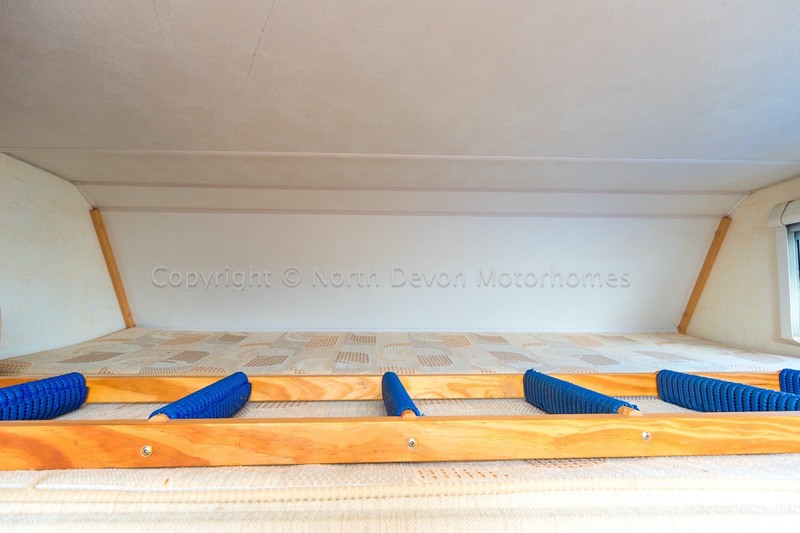 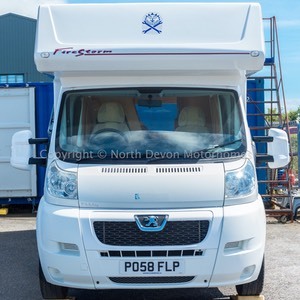 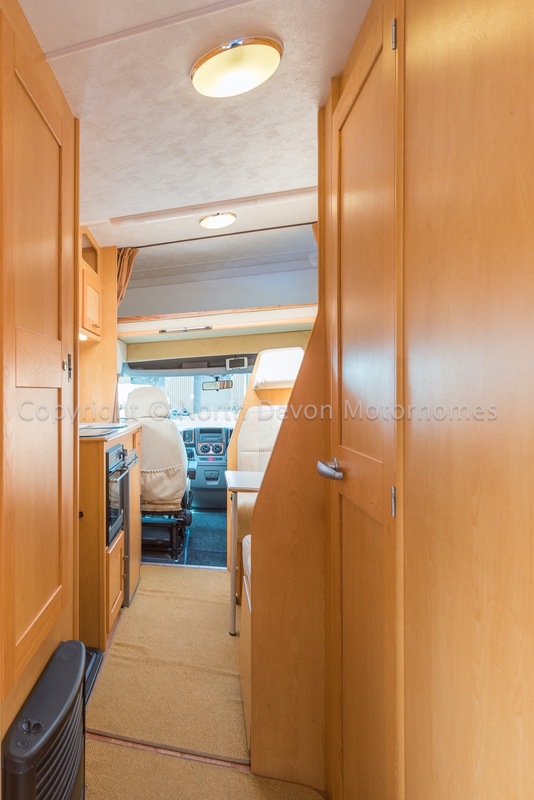 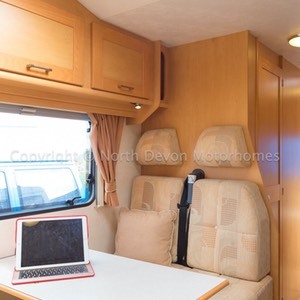 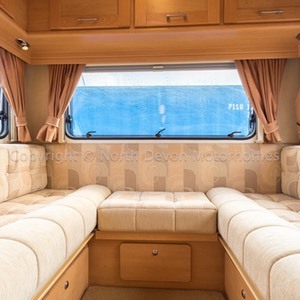 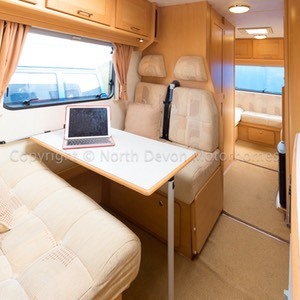 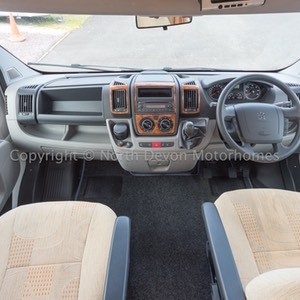 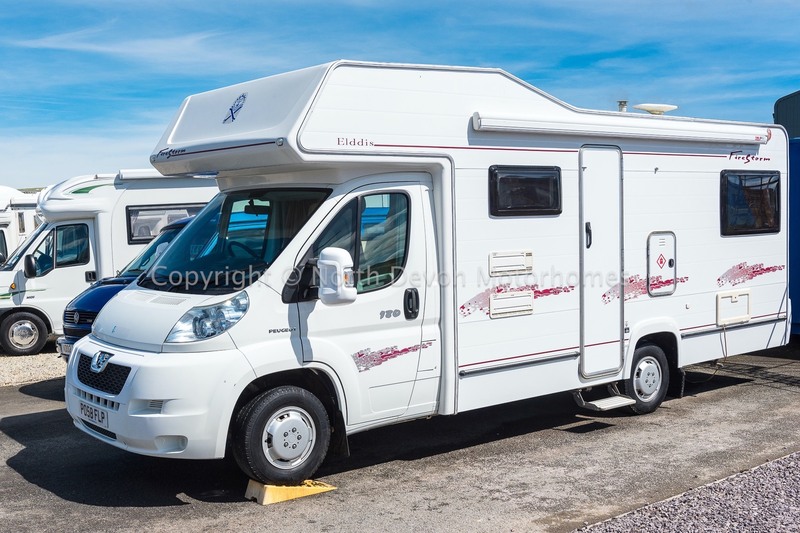 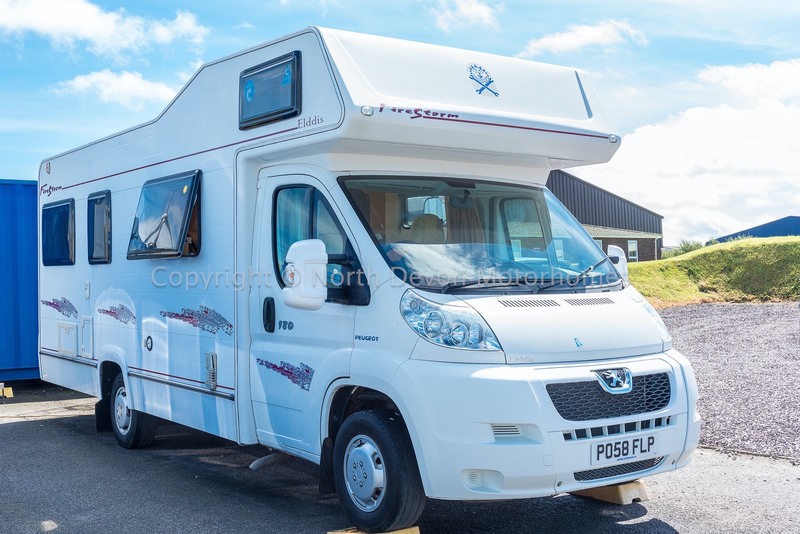 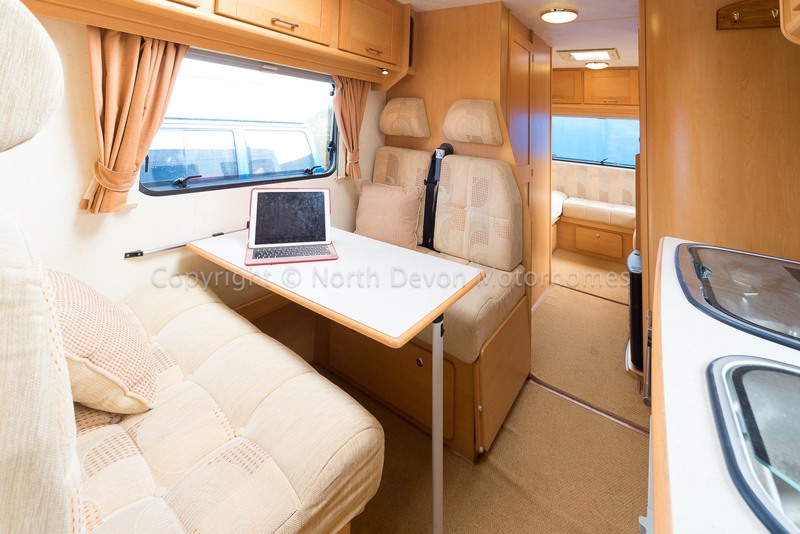 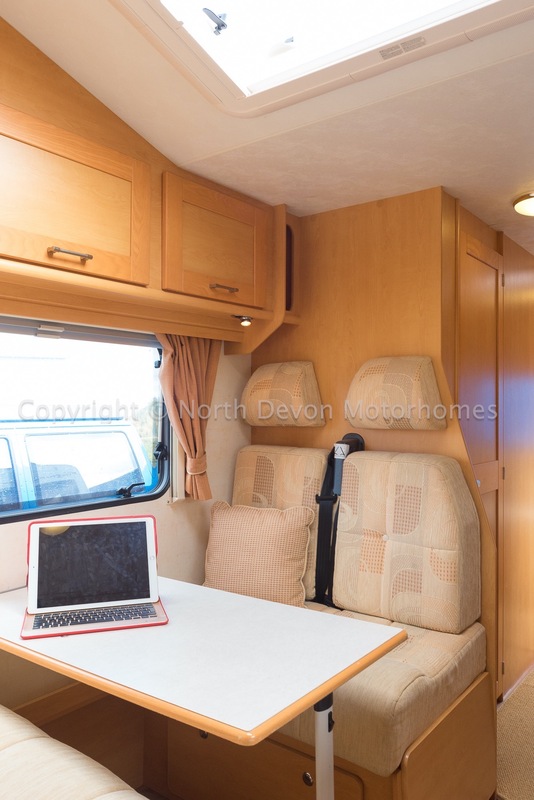 Just Arrived, a splendid 6 berth, family layout with 6 belted seats, awaiting valeting, showing just 16,000 miles. 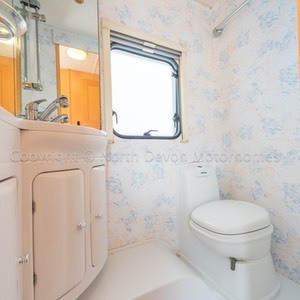 End U shaped lounge, central kitchen and opposing washroom, forward full Pullman dinette, opposing galley kitchen, double bed over cab. 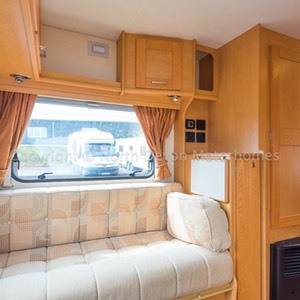 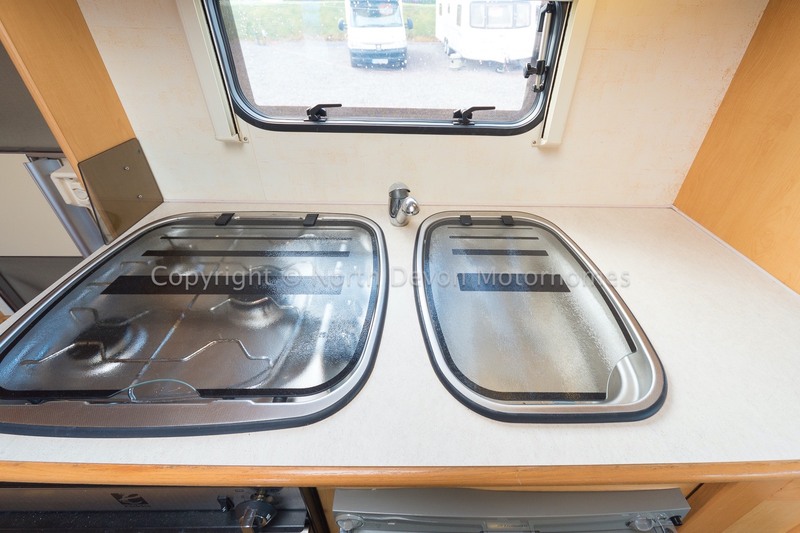 6 Berth, U shaped lounge converts to transverse double, forward converts to large single or another double, large double over cab. Peugeot, power steering, radio CD, drivers air bag, power steering. 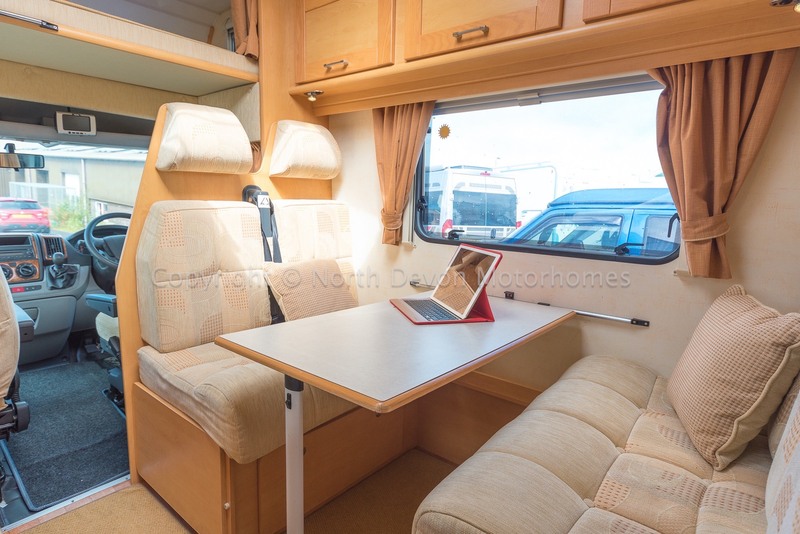 Panoramic Windows and central Rooflight, TV station, Overhead lockers and under seat storage, Free standing table in a storage cupboard. 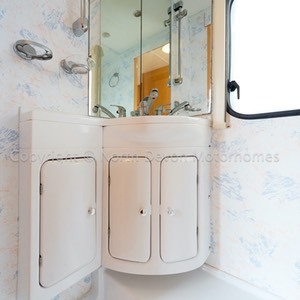 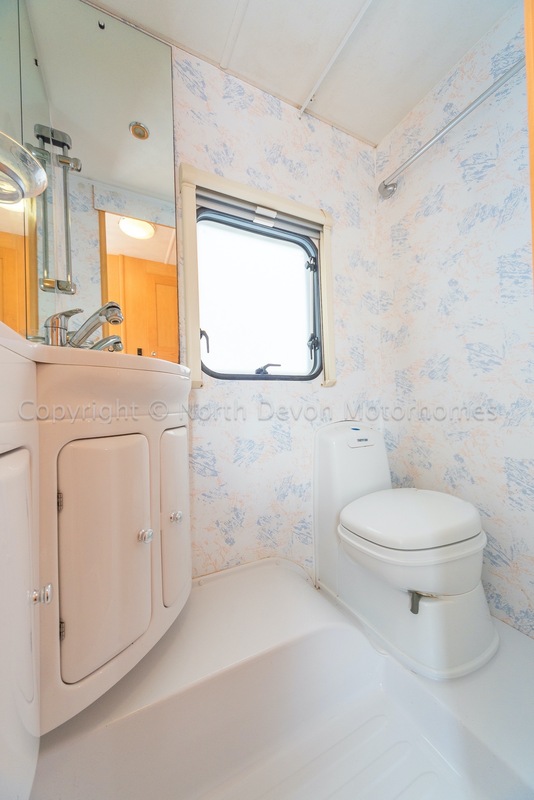 Shower, Swivel based cassette toilet, Corner moulded sink with built in under storage, Window with nets and blinds, 12V lighting. 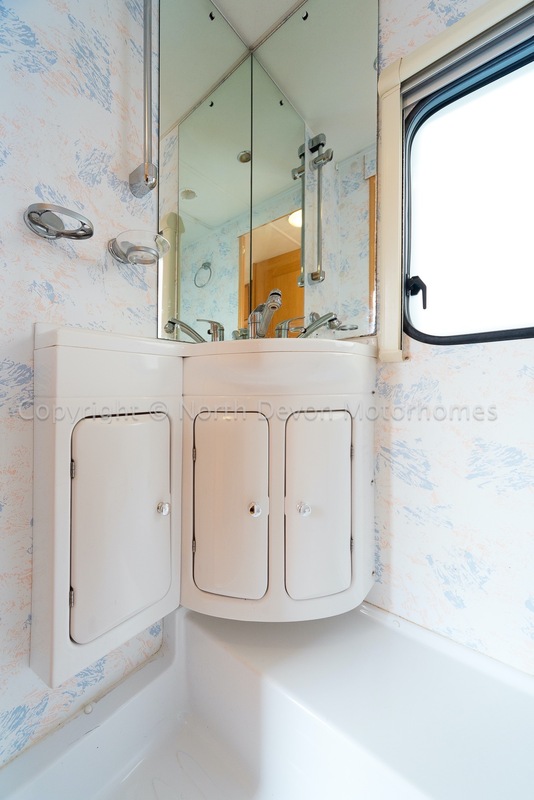 Vanity Mirrors. 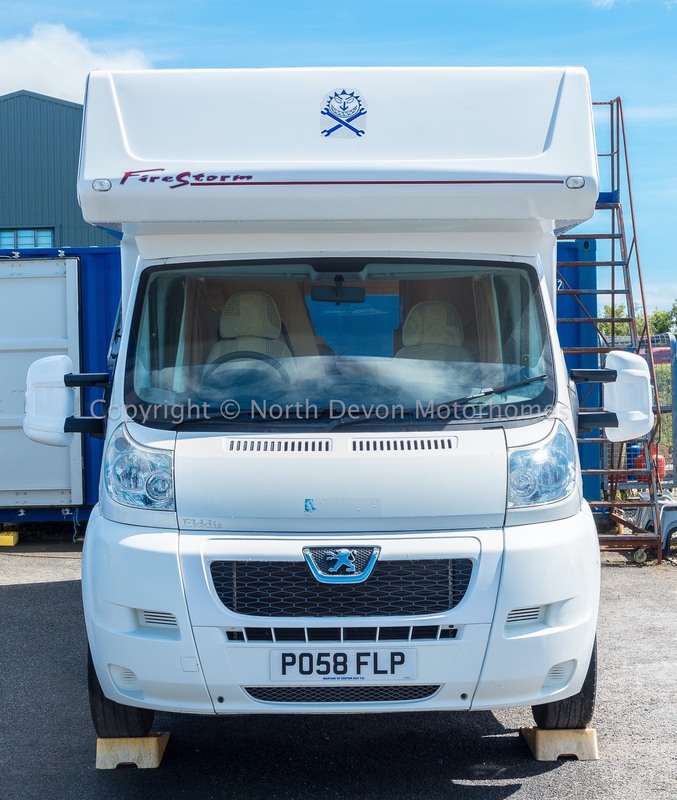 Full Pullmans dinette providing seating and 3 point seat belts for 4, Large Heki Rooflight, under seat storage, high level lockers. 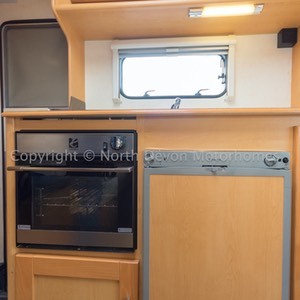 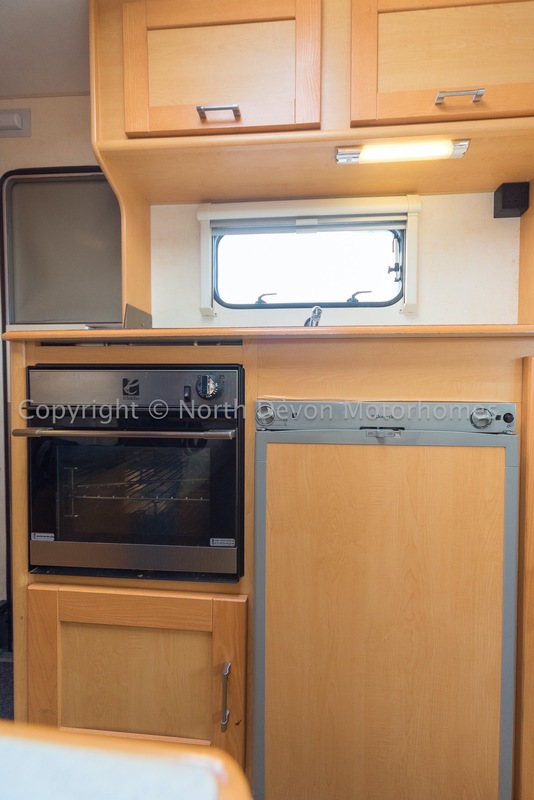 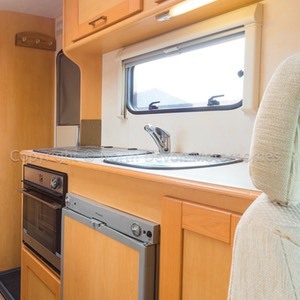 3 Burner gas hob, Oven and grill unit, 3 way fridge, Sink with running hot and cold water, Storage under and over. 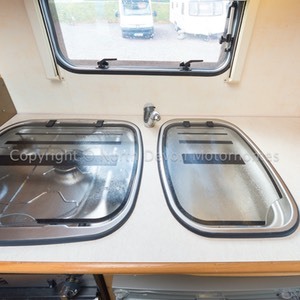 Awning, 240v Hookup lead, Gas bottle.